In season 2013/14 United again teamed up with Just Sports Group (Ltd) in conjunction with Nike in what is the fifth kit launch in this partnership. 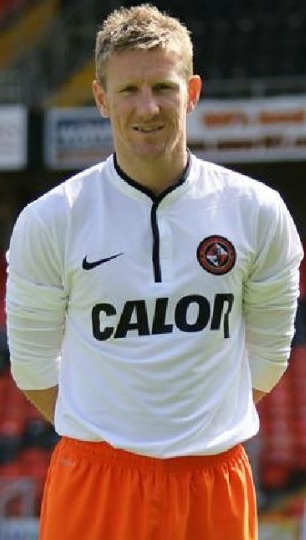 The away kit was modelled by Michael Gardyne at the kit launch for the second consecutive season. 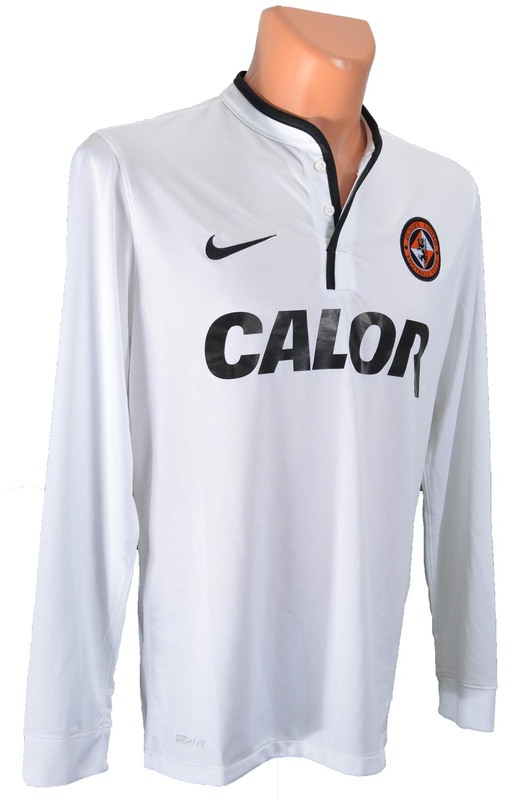 The away shirt featured a stylish button down open neck design on the all white top with a black trim around the collar to match the sponsor's logo on the front. The shorts for the away kit were tangerine and socks white. United continued this season with sponsors Calor Gas and again carried their black logo on the front of the shirt. This year however, the sponsor design changed. The white text on the black rectangular background was dropped and instead it was replaced by eye catching large black font. Also in Club colours, the back of the shirt sported the logo of sponsors GA Engineering who were in the second year of a sponsorship deal with the Club. The shorts underscored a further new sponsorship agreement with Digital Goldfish who equally adapted their logo to tie in with the overall look of the new kit. The socks on the kits were sponsored by Tele Taxis who also agreed to modify the colour of their logo to tie in with the overall strip design.